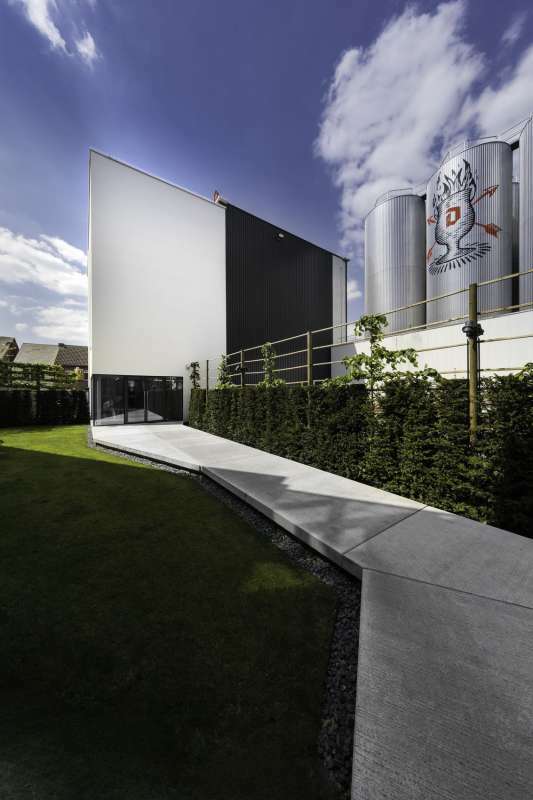 The Duvel-Moortgat Brewery needed a new space to develop and expand its business, so they asked us to identify a suitable site. After some initial research, we settled on the birthplace of Duvel beer and its adjoining building. We felt this gave the new development a feeling of timelessness, having a foot firmly set in the brewery's history while realising a vision of the future. 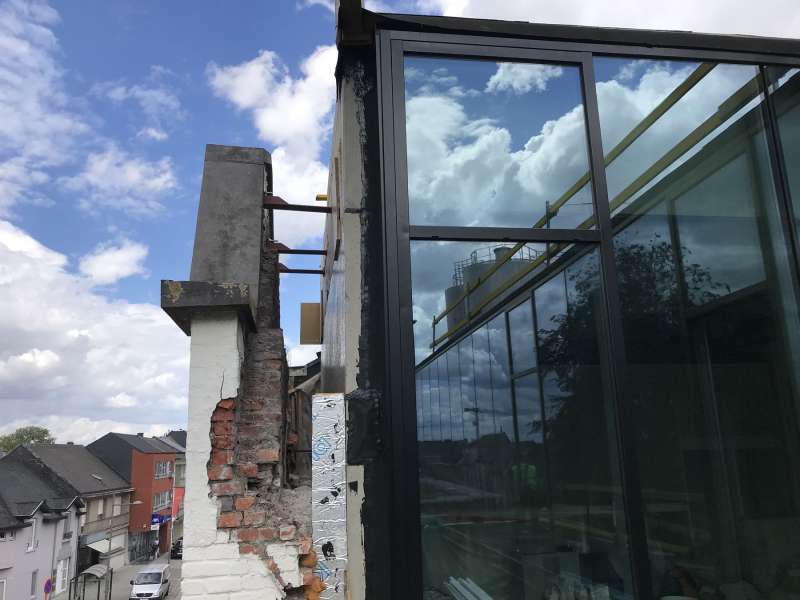 Historic features are highlighted, deliberately laid bare and contextualised by the mainly glass-fronted contemporary additions. The building complements the existing urban landscape, adding perfectly to the present juxtaposition of family homes and industrial buildings with their wide variety of styles. While retaining the original façade, we proposed a complete restructuring of the site in order to incorporate a micro-brewery. This would enable the company to develop new, young beers on site – the classics of the future - and would also be partially opened to the public. 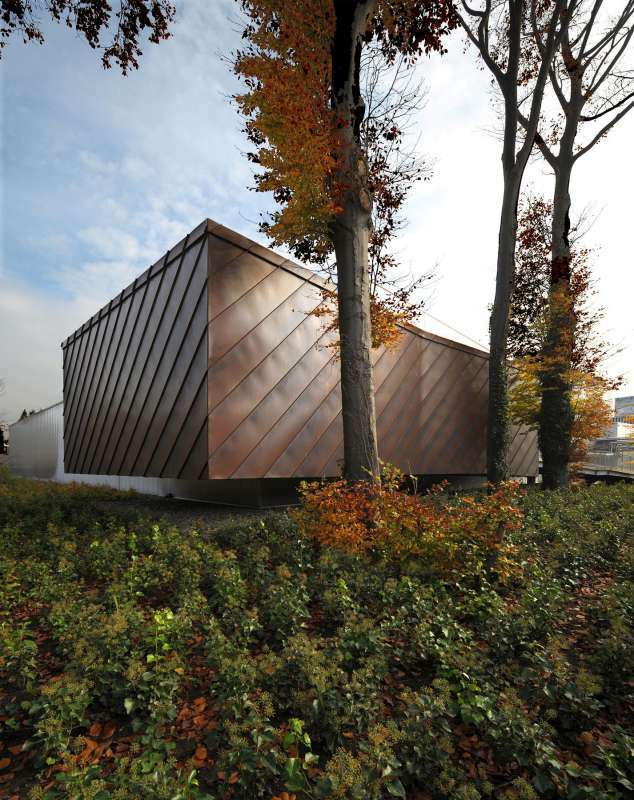 To successfully develop the project, it was essential to consult everyone who would use the building. They all had different ideas about the way the space and its fixtures and fittings should be arranged, of course, these preferences were informed by the nature of their work and their approach. We documented all these experiences, needs and expectations in order to draw out common threads, and build a building that was brewed to perfection for the occupants.